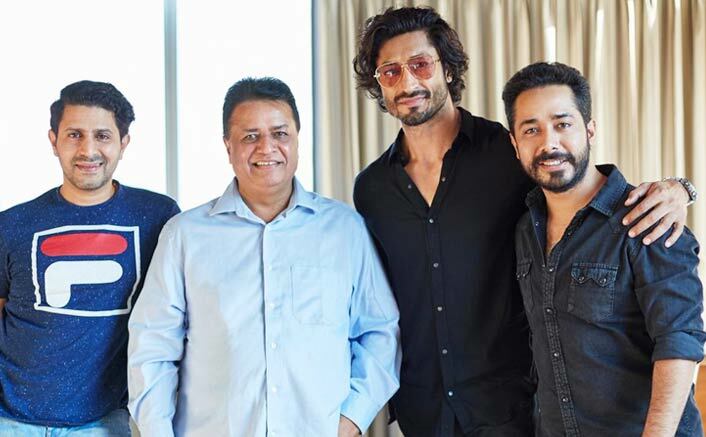 Home » मनोरंजन » Vidyut Jammwal’s next romantic-action thriller confirmed, Khuda Hafiz to be based on true incidents will be directed by Faruk Kabir. Vidyut Jammwal’s next romantic-action thriller confirmed, Khuda Hafiz to be based on true incidents will be directed by Faruk Kabir. Vidyut Jammwal ‘s next romantic-action thriller confirmed, Khuda Hafiz to be based on true incidents will be directed by Faruk Kabir. Vidyut Jammwal recently won hearts for his latest film Junglee. The movie was a big hit among the younger fans and spread across through the word-of-mouth. Now, the actor has been roped for a romantic action thriller titled Khuda Hafiz, under the banner of Kumar Mangat Pathak and Abhishek Pathak. Helmed by Faruk Kabir, the film is based on real-life incidents. Khuda Hafiz is slated for an early 2020 release, while the shooting for the project will commence in July this year. Happy to associate with @VidyutJammwal in #KhudaHafiz. The romantic-action thriller will be directed by Faruk Kabir. Reporter : Vidyut Jammwal's next romantic-action thriller confirmed, Khuda Hafiz to be based on true incidents will be directed by Faruk Kabir. Sandeep Deswal : An Indian Wrestler turned into Coach of Indian Celebrities. वीडियो: अक्षय ने राष्ट्रीय पुरस्कार जीतने पर पत्नी को दिया स्पेशल मैसेज! वीडियो: शाहिद ने बेटी के साथ किया वर्ल्ड डांस डे सेलिब्रेट!